From swimming in your backyard pool to enjoying long evening bike rides, there are so many things to love about summer. But one downside to the season that we don’t discuss often is the increased risk for heat-related illnesses that comes along with extreme summer heat. Everyone should be aware of the dangers, but Linda Phypers, R.N., L.N.H.A., director of health services at Wake Robin, Vermont's first Continuing Care Retirement Community, says the elderly community should take extra precautions. “High heat and humidity can be dangerous—and people may feel differently on different days regardless of what the thermometer reads,” Phypers explained. When it comes to engaging in physical activity on hot and humid days, she suggests choosing cooler times of the day, like in the early morning or late evening, or if it’s really a scorcher, opting not to exercise at all that day. 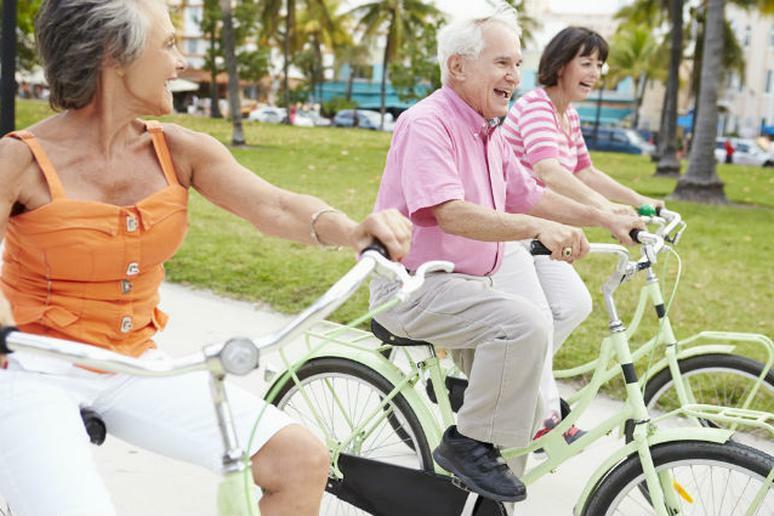 What should seniors be most concerned about when it comes to staying active in the summer? She also suggests exercising with a friend so you can keep an eye on each other and said that these tips apply not just to seniors, but really anyone who wants to be active when it’s unusually hot and humid. But what if it’s really just too hot outside and you want to fit some form of activity into your day? Phypers suggests making use of an indoor pool if you have access to one. If you don’t have a pool, Phypers suggests exercising inside where there are fans or AC. Also, you could reach out to local senior centers. Phypers said they often plan activities to accommodate summer weather and usually have AC. Her final piece of advice: if you take any medications, be aware of their side effects. What is Heat Stroke and How Can You Prevent It?